Ballads, Blues, and a Spiritual album cover. 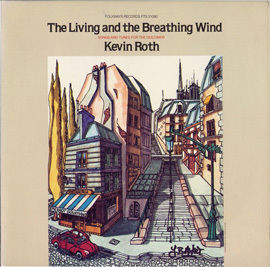 Alternate Ballads, Blues, and a Spiritual album cover. 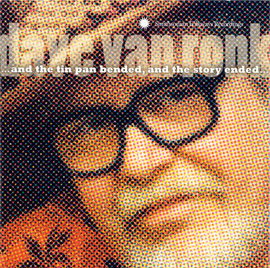 New vinyl reissue remastered from the original master tapes, packaged in classic Folkways-style tip-on jackets with original liner notes. 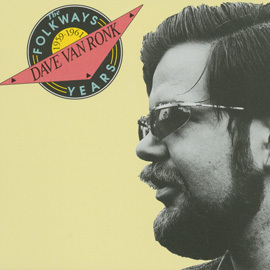 Dubbed “The Mayor of MacDougal Street,” Dave Van Ronk (1936–2002) was an iconoclastic folksinger and an influential figure in the American folk music revival of the 1960s. 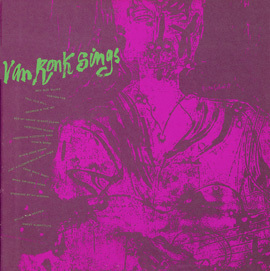 Because of his interest in African American folk music and blues, and his gift (or curse) of a gravelly baritone voice, Van Ronk was often criticized for his approach to his musical repertoire. His rejoinder was that he reserved the right to sing songs in the style that he deemed to be “the right way.” This 1959 Folkways recording, his first on any label, is a collection of 19th- and early 20th-century traditional folk and blues songs that persuasively illustrates his stance. 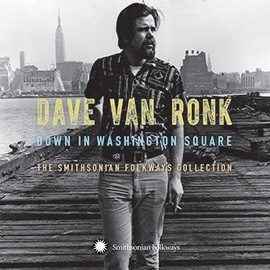 The vinyl reissue includes a liner notes booklet with the song lyrics and is part of the Smithsonian Folkways Vinyl Reissue Series, revisiting some of the most iconic and influential albums released on the record label. We are offering Ballads, Blues, and a Spiritual along with the vinyl reissues of Brownie McGhee and Sonny Terry Sing, and Lead Belly's Easy Rider as a Vinyl Bundle with Bonus Folkways Slipmat.